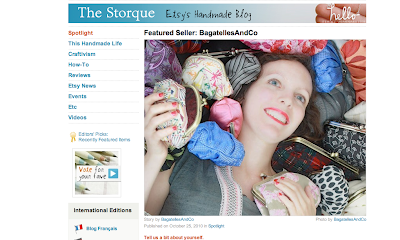 mademoiselle bagatelles: Etsy featured seller!!! 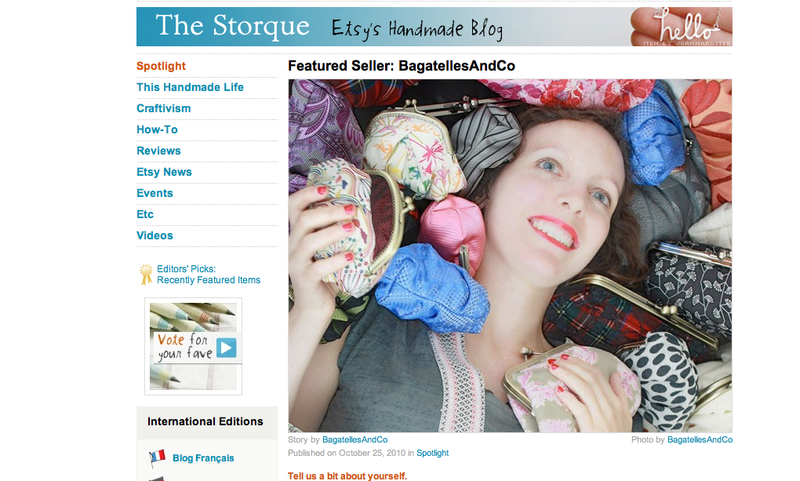 Heee yes it's bagatelles&co's turn to be the featured seller on Etsy today! I was quite thrilled when I received the news from etsy admin this summer. So exciting to be part of this great feature! I read each interview and have always been inspired and motivated by previous artists featured. It is an honour! Congratulation for Featured seller on Etsy! I know your beautiful work for some time, because your Etsy shop is among my favourites for quite some time. This is my first visit to your blog. What a wonderful feature article it is!!! I have never seen your wonderful clutch purses and they are divine! I love them. Congratulations on a wonderful product. Et pour la version française, te voir sur the trendy girl, j'ai été ultra fière pour toi! !